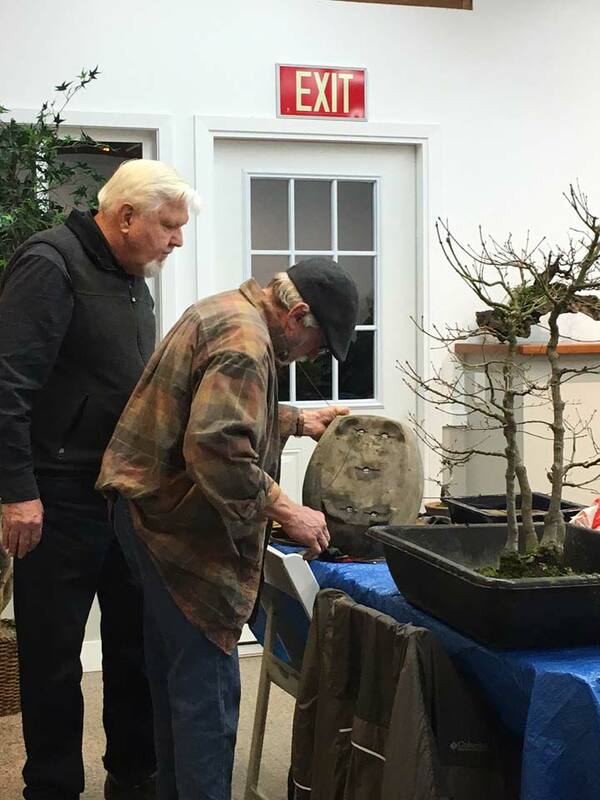 Our first workshop of 2017 was dedicated to the task of repotting bonsai (the most important task one can perform for their bonsai). 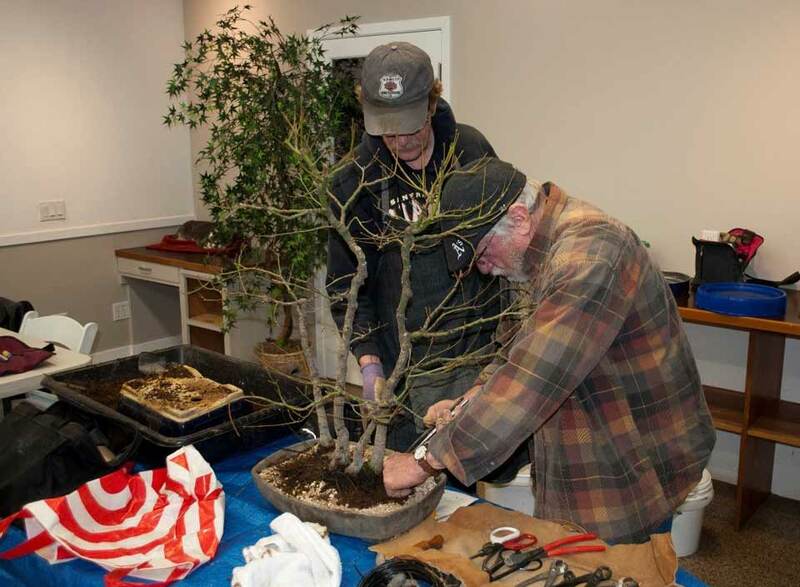 Art Wasserman and John Doig take on a Japanese maple grove repotting task. 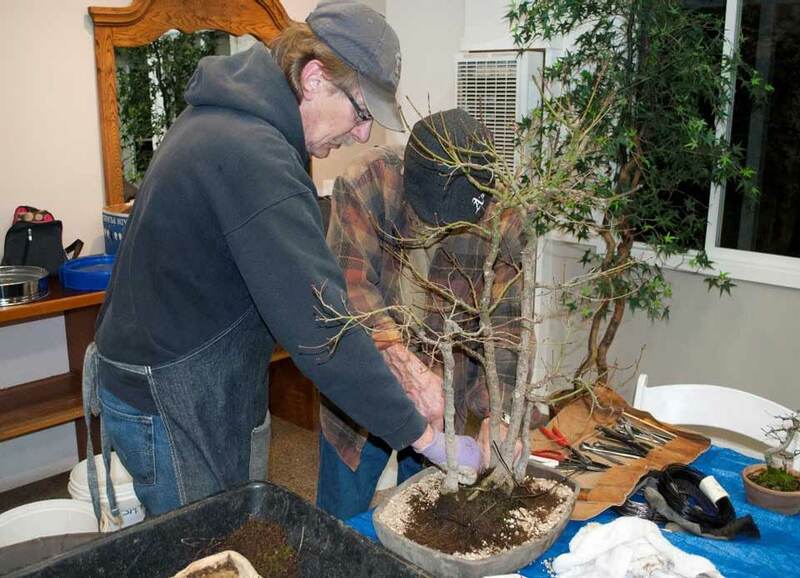 John is showing Art how to tie down the root stock on a pile of bonsai soil mix, a critical part of any repotting. 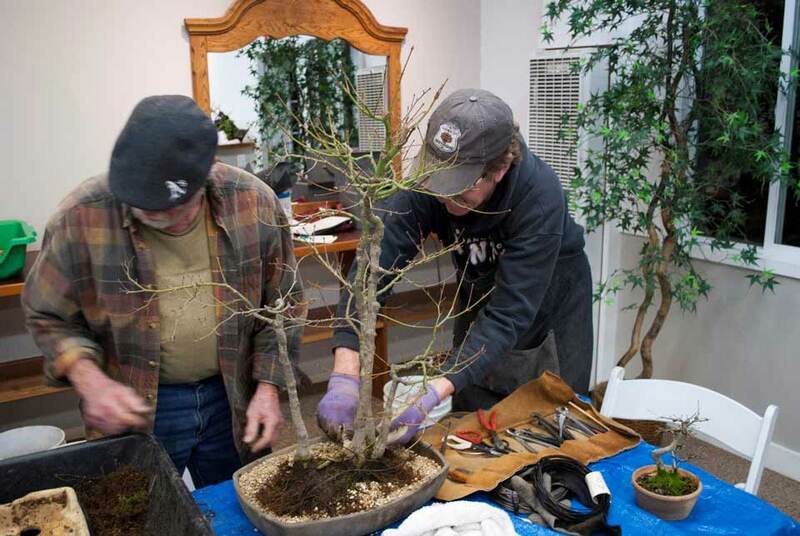 Working with a chopstick, Art is eliminating any air pockets in the bonsai soil mix. 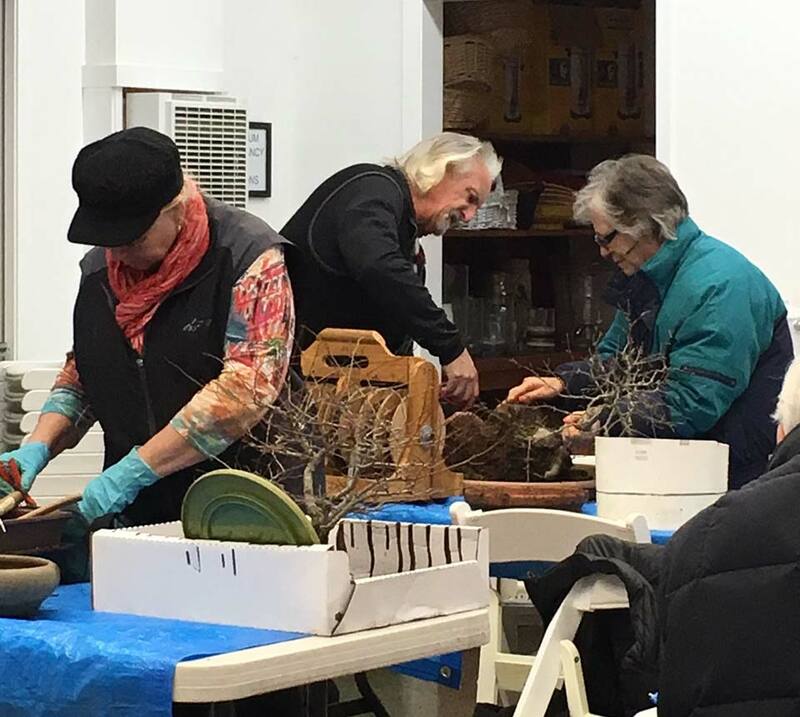 We had a good crowd show up with their bonsai and tools. 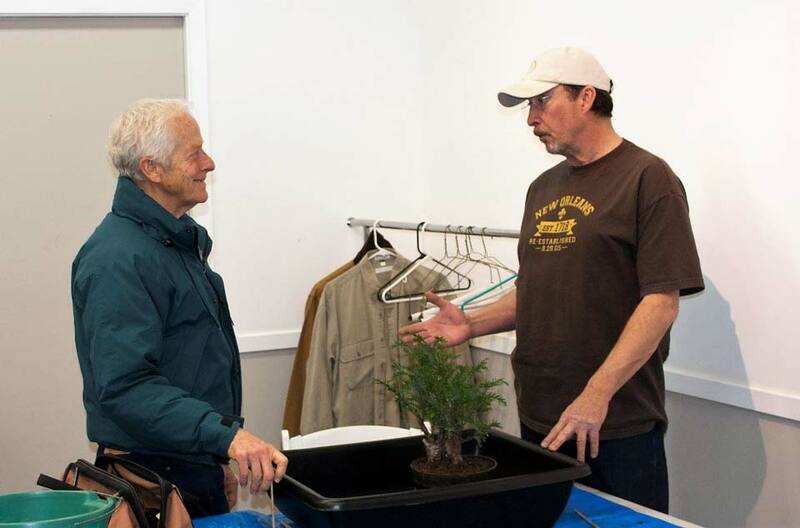 There was plenty of experienced help to lend a hand in repotting. 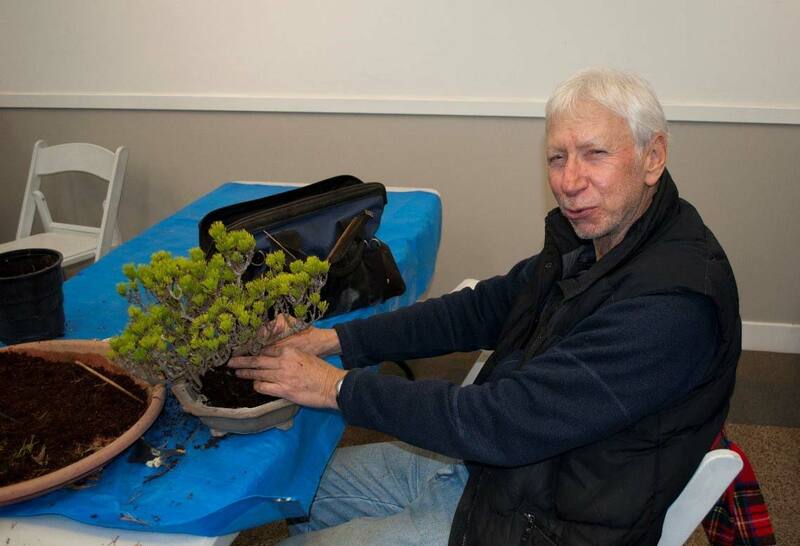 Candace Key was ready with the repotting handout from the January 3rd Jonas Dupuich demonstration on the same subject. 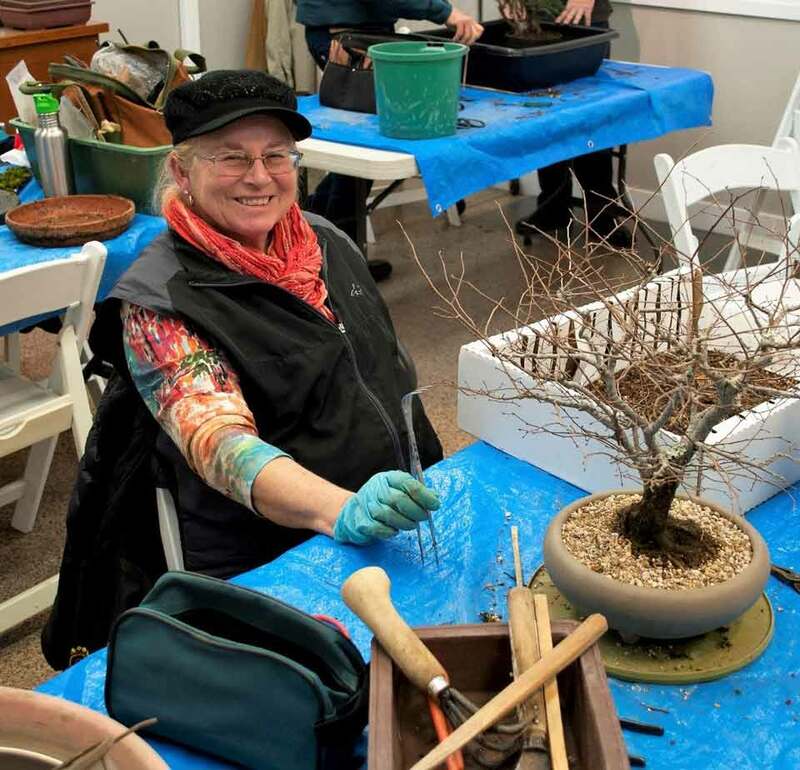 Michaele Jaffe happily puts the finishing touches on her repot. Marcia Summers snips while John holds and keeps an eye on his fingers. 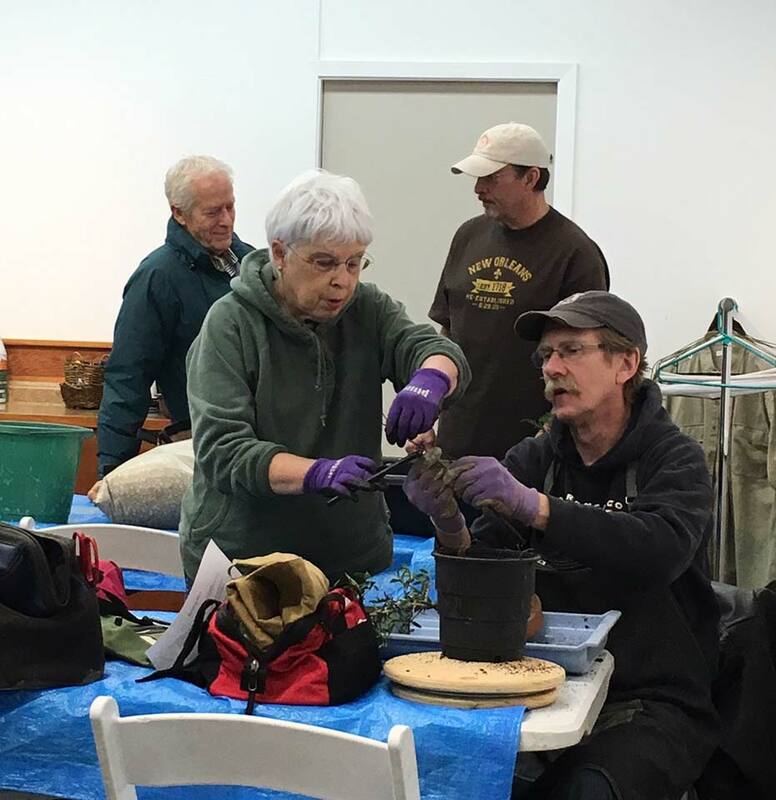 The club has two more repotting workshops scheduled for February 7 and 21. Karen Marx holds the patient while Dr. Jay operates. 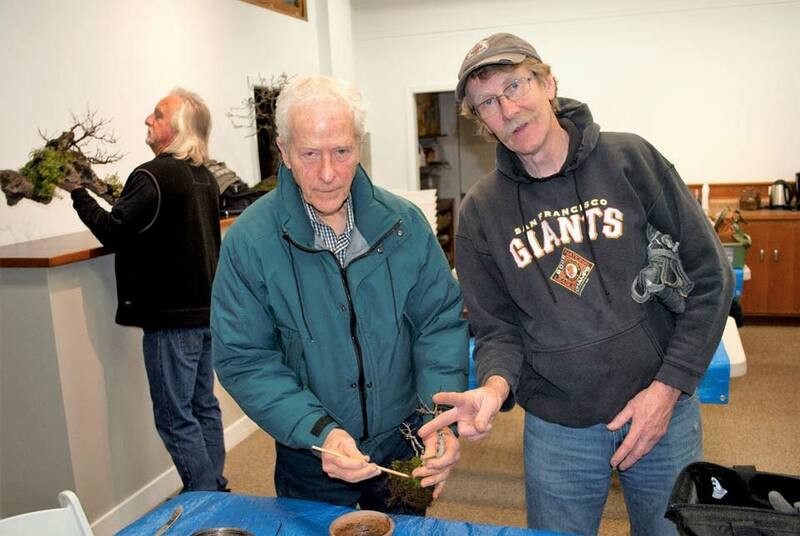 George Haas watches intently as Art threads an anchor wire. James Phelan offers to check Chris’ coat. George couldn’t resist this photograph of the experienced helpers at the conclusion of the workshop. Jay McDonald, Chris Ross and John Doig.